The Auction is Finally Here! Roaring Twentieth Auction Update 2! 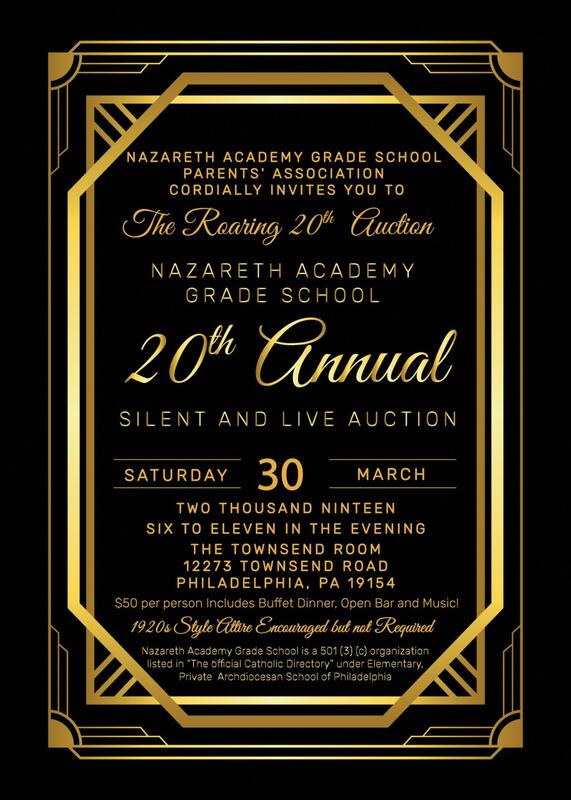 We are thrilled to present THE ROARING TWENTIETH..... Our 20th Annual Event! Our annual auction is our biggest fundraiser event of the year. 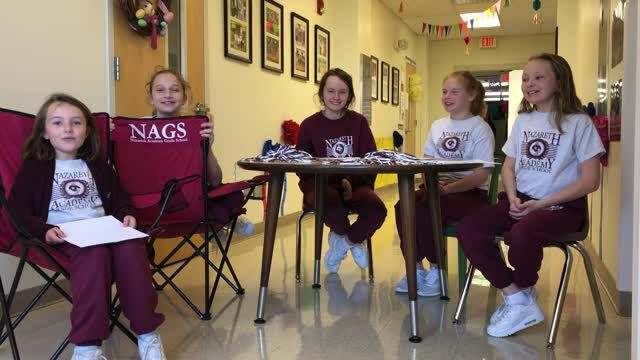 The Sisters of the Holy Family of made it their mission by being “committed to creating communities of love and hope which celebrates the oneness of the human family.” Our school stands by this mission and the Annual Auction has been successful for 20 years because this mission is felt throughout our school community. 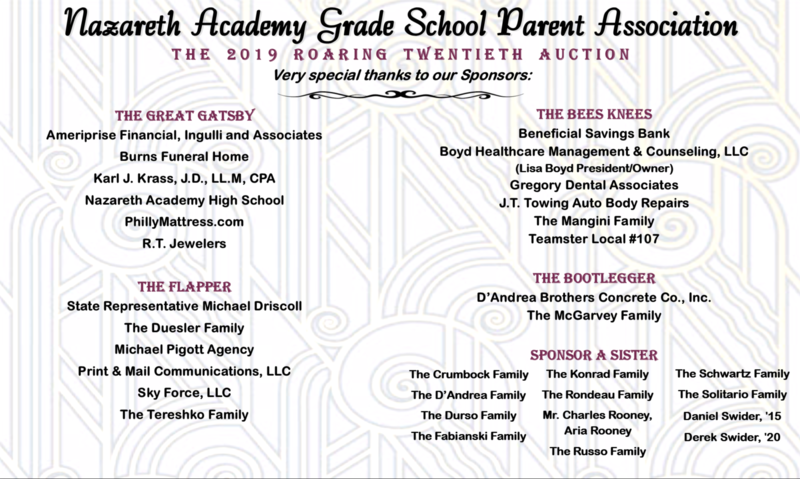 The auction is a celebration for parents, alumni, friends and families of the Nazareth Academy Grade School community. 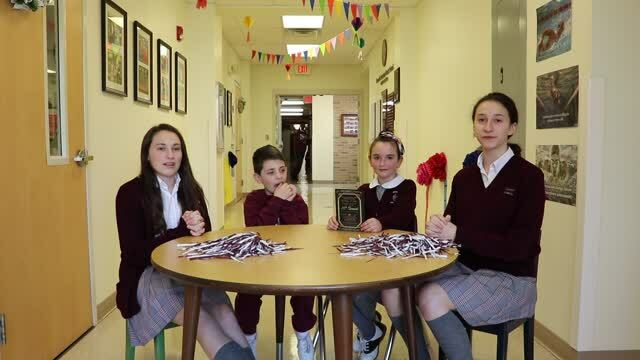 The proceeds of the auction directly benefit the educational needs of the cherished children of our school. We expect over 300 adults in attendance and with your help, we look forward to it being our most successful auction yet. This is always such an exciting time as the whole school community works tirelessly together to make it the best it can be and we could not do it without you! We are graciously asking for your support with this event. Please consider donating gift cards, merchandise, event tickets, sports memorabilia, passes etc. 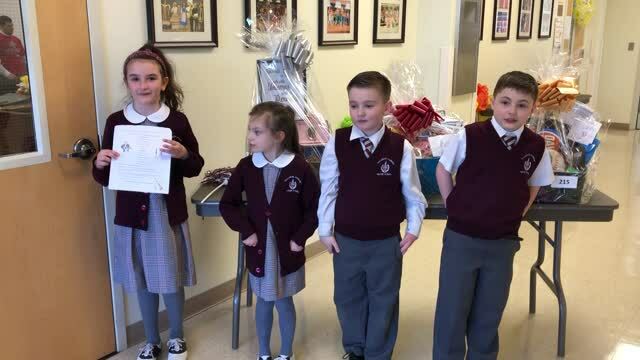 Your generosity, in addition to being tax deductible, will be acknowledged in the event program and throughout our Nazareth Academy Grade School family. This is a wonderful opportunity to gain exposure to potential customers while supporting the children of this beautiful school. Thank you in advance for your consideration. We are always overwhelmed and thankful for your support. Donations can be mailed to the address listed below or you can contact us to arrange a pick up. Please feel free to email us with any questions you may have.